For nearly 40 years, The Only Investment Guide You'll Ever Need has been a favorite finance guide, earning the allegiance of more than a million investors across America. 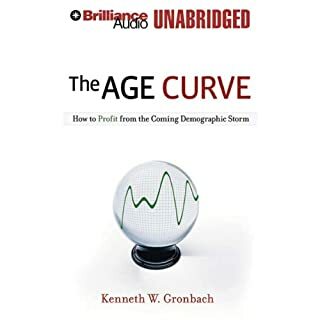 This completely updated edition will show you how to use your money to your best advantage in today's financial marketplace, no matter what your means. 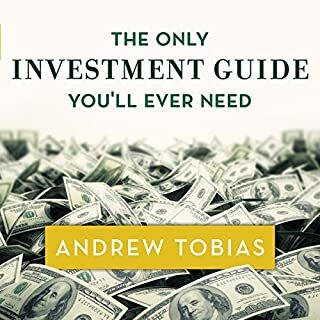 Using concise, witty, and truly understandable tips and explanations, Andrew Tobias delivers sensible advice and useful information on savings, investments, preparing for retirement, and much more. More of a savings book, then investment. In intro I heard info on interest rates and other things, but as it progressed he was talking about how to save on toothpaste. About everything and nothing at the same time. It doesn't discounts all his achievement, but this book is not a specific business strategy or guide. 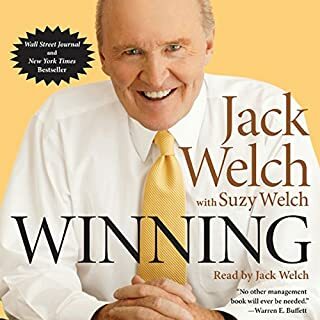 Just a feel good, "be a winner"/ "to win you have to win", kind of book. Made a 1 or 2 hour introduction, literally beginning from 9 years old, and then how/ when he worked and what happened when he was 12,14,15,18,20,22 and on and on, sprinkling on top how popular he was with "the ladies", and how smart/wise he was by doing this instead of that. I have not bought this book to learn about your whole life story, and to hear how much you like yourself. 5-10 minute introduction is ok, but when literally half of the book is about how good/smart/popular/ you are what's the point? No wonder Tom Ferris endorsed this book, as it is as practical as all the work of Ferris. Buying and Selling a Business reveals key strategies to sell and acquire business investments. Garrett Sutton, Esq. 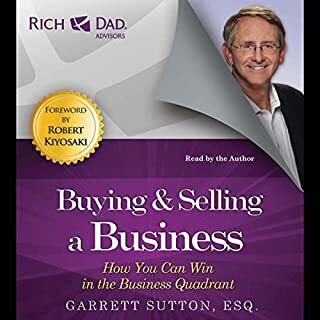 is a best-selling author of numerous law for the layman books, and he guides the listener clearly through all of the obstacles to be faced before completing a winning transaction. Book is filled with fake, made up, one dimensional stories. Author assumes you are an idiot. I would not be surprised if he never bought or sold a business ever in his life. Otherwise he would've told real stories and not his imaginary, one dimensional, black and white fairy tails ( To the extent of Bob is good guy, and Kevin is not. Bob didn't sign Non disclosure agreement and everyone left him for Kevin, etc.,etc. While, in real life, if your competitor signed NDA doesn't mean he'll not use the info on your margins or try to get contacts of your clients, or hire your top employees). Book is filled with childish and incorrect advice that may seriously hurt you if you follow them, because author doesn't know what he is talking about. 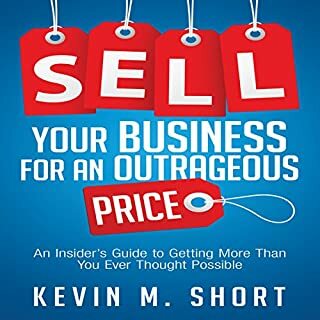 Author thinks, that if he can imagine how things would've been if he would've been selling his business in a perfect world, equals him knowing the topic. But in real life, things never go as you think they should go or ought to be. And the real, "battlefield" experience, this guy lacks big time on this topic. He may be good CPA and certified Bar member, whatever, whatever but it doesn't automatically make him a qualified person on buying and selling businesses. Big miss for Rich Dad, because most of their material is quality. Would be returning this book. This is a great, up to date book full of recent innovations and progress. Great in depth overview of big ideas, and peer to peer market, how it was built, why it have worked and a little on what to expect from future. For my taste, this book was overly optimistic on future possibilities of advancement of human race. He describes mostly an utopian world where everything works perfectly which it never has, never does and most likely never will, due to high complexity of the world. And he also makes a really huge assumptions that, for example something like universal basic income or negative taxation WOULD be implemented, and that people would buy other people's products instead of buying robotics because of authenticity ( whatever that means), considering that robotic produced products would be a small fraction of the cost and of superior quality and I can go on and on, etc. , etc. But off course it's his subjective view of the future, which are conflicting with mine, and I can't discount any points just because we disagree on subjective opinions. 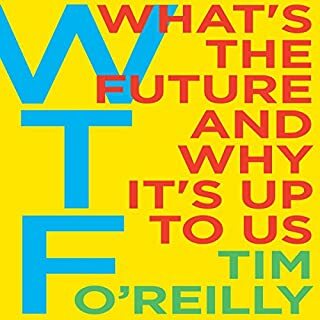 Other than that, this book provides a unique inside perspective on past developments of technologies like internet,computers and AI, from insiders perspective ( He knew Bezos back in 2000-s). Overall I can recommend this book, and if you read through this review you'll probably be able to finish this book too. How businesses can harness the power of online consumer reviews. More than seventy percent of consumers now consult online reviews before making purchases, and they take those picks and pans very seriously. A disgruntled but ignorant customer on Yelp might have more clout than any expert guidebook, magazine article, or newspaper critic. No wonder many businesses feel terrified by the review-driven marketplace. I liked the book, but there was one big flaw, that is unforgivable, especially for the insider guy this caliber, whose profession is to sell companies. He would say:" This was a 3 million $ company...". Ok. So do you mean that the company have revenues of 3 million$ and could be valued anywhere from 6 to 10 million dollars (according to 2-5 times Ebitda or Revenues), or do you mean that the company is valued at 3 mln, because their revenues are from 500,000 to 1mln$? And sometimes he would mean revenues and not value which defeats the whole purpose of the book, because it's hard to understand which one he means this time around, as he uses these two terms interchangeably. I think mistake like this could be forgiven if it's a novice, or a guy who is just starting out in the business, but for the guy who is working in this field and sold his own companies, etc.,etc., these kind of mistakes are unforgivable. I still don't know which term he meant in some of the examples. So, that, and he also didn't introduce to the standard valuation models, which are most frequently used on the market. It would've been useful, especially for new guys, to understand what is normal price and what is outrageous. Other then that, overall good book. Ad for sevenly ( authors company)? Good concepts but nothing really new. PS: dude, are you really comparing your company of selling tshirts for charity with GM, or Ford? It's different size business, and some of the concepts that work for small business do not apply when you are running multi billion dollar company. This is Giving away free lunches to employees/ glass window and no doors offices kinda book. Generousity works, authenticity is good, and water is wet. Nothing new here, unless you were born yesterday. Companies all over the world could greatly benefit from moving part or even all their staff to work from home as virtual employees. 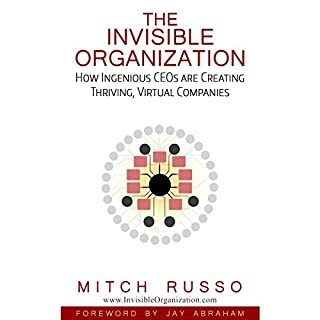 Using the techniques and strategies inside The Invisible Organization, all that is possible quickly and efficiently. 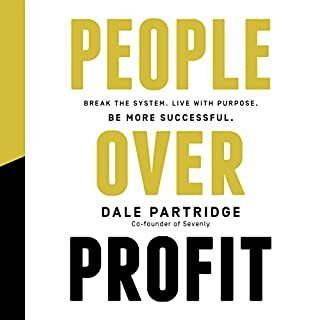 If you are the CEO of a company that could benefit from generating more profits, shedding overhead, and thrilling staff, this book is a must-listen. This guy is a professional infomercial/"information product" guy, meaning selling 300$ webinars, so he could teach you how to sell 300$ webinars, to other people. Nothing wrong with that niche, I guess, other than it's a sum zero game. 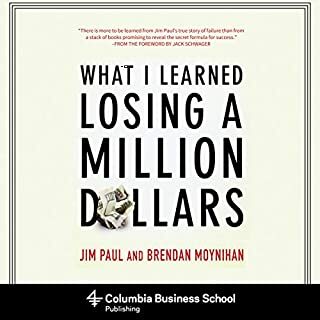 Other than that, and huge introduction along with mentioning his website every segment, this book is pretty interesting, and provides new idea on how to run your business. Mostly applies to training and consulting business but could be used other places. While many investors fear a rapid rise in inflation, author Gary Shilling, an award-winning economic forecaster, argues that the global economy is going through a long period of deleveraging and weak growth, which makes deflation far more likely and a far greater threat to investors than inflation. 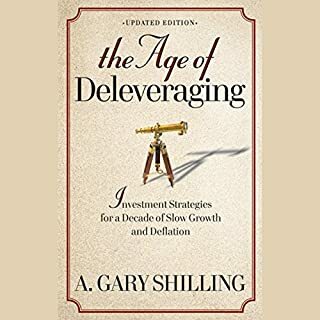 Shilling explains with clear language and compelling logic why the world economy will struggle for several more years and what investors can do to protect and grow their wealth in the difficult times ahead. This book is one of the top books on Macroeconomy. I have around 500 books, and this is at the top. PS: not an investment book through.